DB_UNIQUE_NAME is a database parameter which specifies a globally unique name for the database. 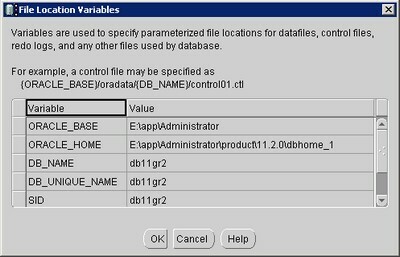 Databases with the same DB_NAME within the same DB_DOMAIN (for example, copies of a database created for reporting or a physical standby) must have a unique DB_UNIQUE_NAME. Every database's DB_UNIQUE_NAME must be unique within the enterprise. The value of DB_UNIQUE_NAME can be up to 30 characters and is case insensitive. The following characters are valid in a database name: alphanumeric characters, underscore (_), number sign (#), and dollar sign ($).